Going out to a restaurant is an inescapable part of being a today’s average millennial. Someone enjoys the meal cooked by anybody else rather than themselves, others simply check-in and make Instagram-stories for their followers. However, spending your precious time in a good restaurant may be ruined by nasty food, noisy atmosphere or poor customer service. According to eatanddrink.co.uk 38% of people would not complain in a restaurant. Dory Brown, a former restaurant manager for the Chart House Chain says: "A lot of people will just not come back and never say why." Food problem report to a state or federal agency. No matter whether it is hair in your food, or a rude server with the lack of communication, #1 rule is that complaining in a restaurant should be delicate and polite. Alert your waiter immediately. Don’t report a meal after you’ve eaten at least half of it. As soon as you are served with a plate of food, take a look, smell it and, if you notice something wrong – call the server straightaway and show him/her what is wrong. Be clear and precise. Try to explain the problem without anger and raising your voice. Mistakes happen, give the restaurant another bite at the cherry. Say it now or don’t say anything. Giles Coren, the author of "How to eat out" says "Once you walk out of the door, it's over." Therefore, it is better to report a restaurant failure while you are there rather than making a drama on Twitter, Yelp, or Tripadvisor. Chances are your concerns would be heard and addressed immediately. "The hardest part of owning a restaurant is dealing with staff", - says Lorri Mealey, a former restaurant owner. Call a manager. If you feel your communication with a server doesn’t bring any positive outcome, ask politely to speak to the manager. Don’t be pushy. Even if your orders were mixed up, or you had to wait 40 min instead of promised 15, please, remain calm and don’t be hungry for freebies. 9 times out of 10 it is up to the restaurant to decide how to make amends for a complaint, unless it is raw food or ignoring a food allergy. Avoid threats. Explain the issue honestly without exaggeration. Don't go around throwing your accusations on Yelp unless you feel that you’re really being mistreated. Also, keep in mind that such quirky requests as "Don’t sit me next to anyone who is poorly dressed" won’t be reimbursed. 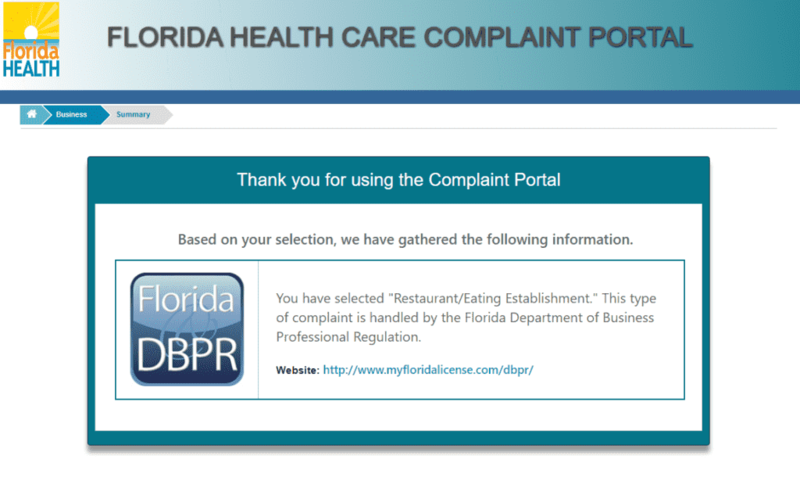 If you feel that your complaint against restaurant has not been taken seriously, you may go and start an online battle. Companies who take care of their online reputation already know the power and influence of online reviews. So there is more possibility, you won’t be ignored. Below you will find a sample of online review about Cafes, Restaurants and Bars published on PissedConsumer.com. We believe reviews that include as much information regarding the issue you have faced as well as complainant’s contact details have far more chances to be heard and addressed by a company. To make your review even more "powerful", please do not forget to share it via social networks such as Facebook or Twitter. According to J.D. Power, 67% of consumers have used a company’s social media channel for customer service. 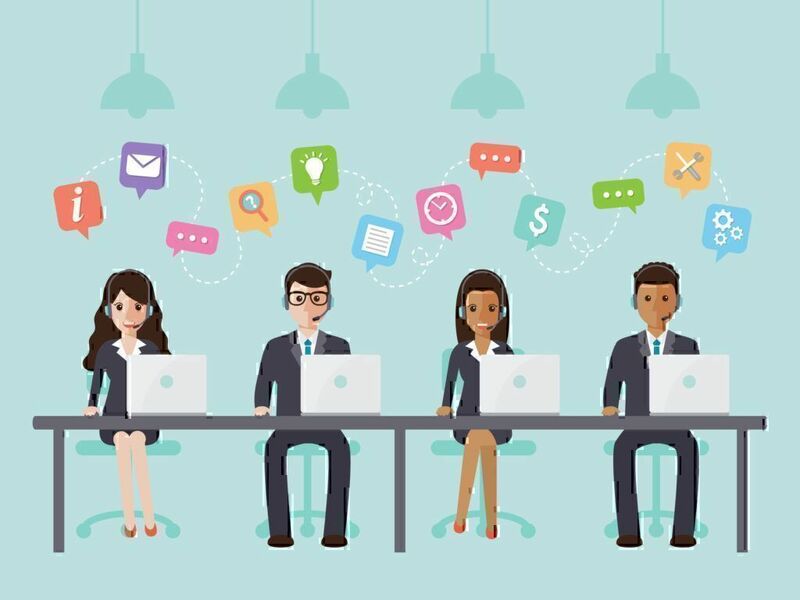 Statistics shows that direct questions or comments on the official company page are more likely to generate a response from the staff than any @tagged mentions. 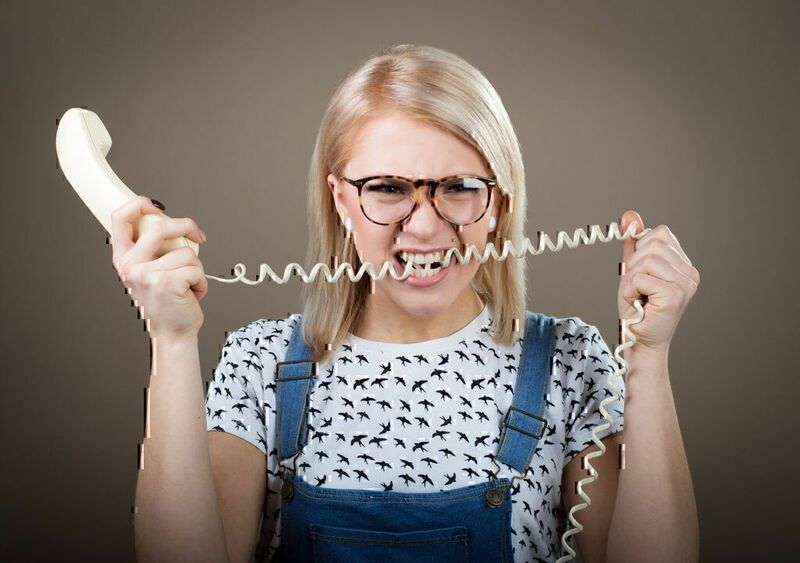 Let’s compare two examples of good and bad customer service on Social Media. While departing the Newark airport to meet his driver, he was greeted by a Morton’s server with a 24 oz. Porterhouse steak, shrimp, potatoes, and bread – the works. A full meal and no bill. 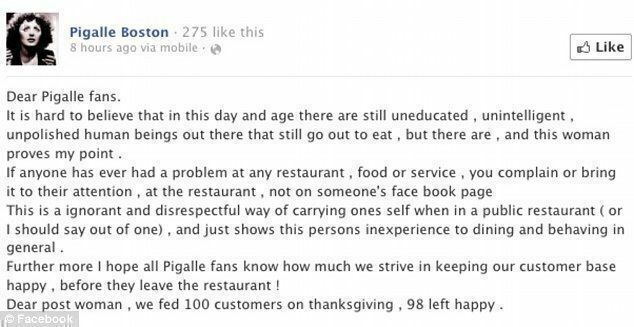 Marc Orfaly, the chef of Pigalle in Boston, ignored the fact that social media have a way of going viral very quickly. And never, ever being forgotten. 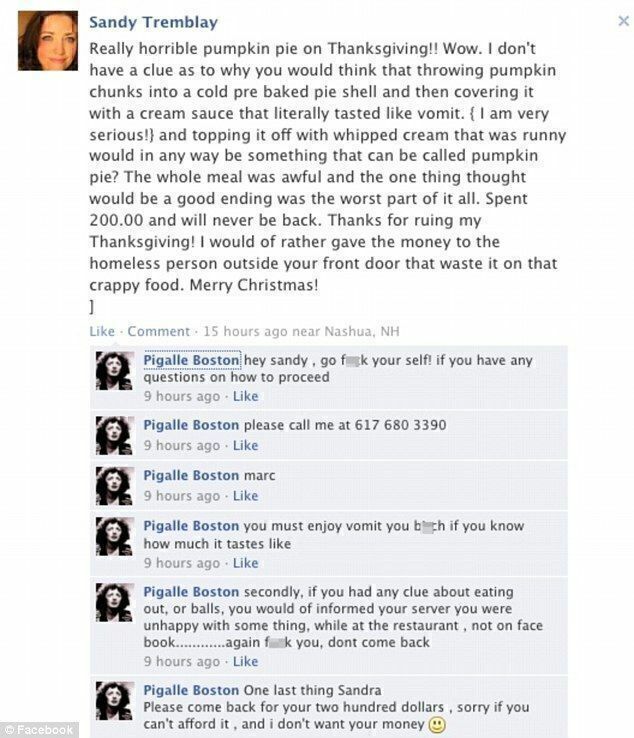 After a customer complained about her Thanksgiving meal on Facebook, the chef responded with a "go f*** yourself". This is actually a good example for companies how not to respond to their consumers’ complaints. If you suspect that food was contaminated and now you became ill after eating in a restaurant, it is better to immediately report this. For meat, poultry and processed eggs products use this complaint form. If you would like to report a restaurant you should contact the local (county or city) health department. In order to identify how to call your public health department please visit this page: https://www.foodsafety.gov/about/state/index.html. 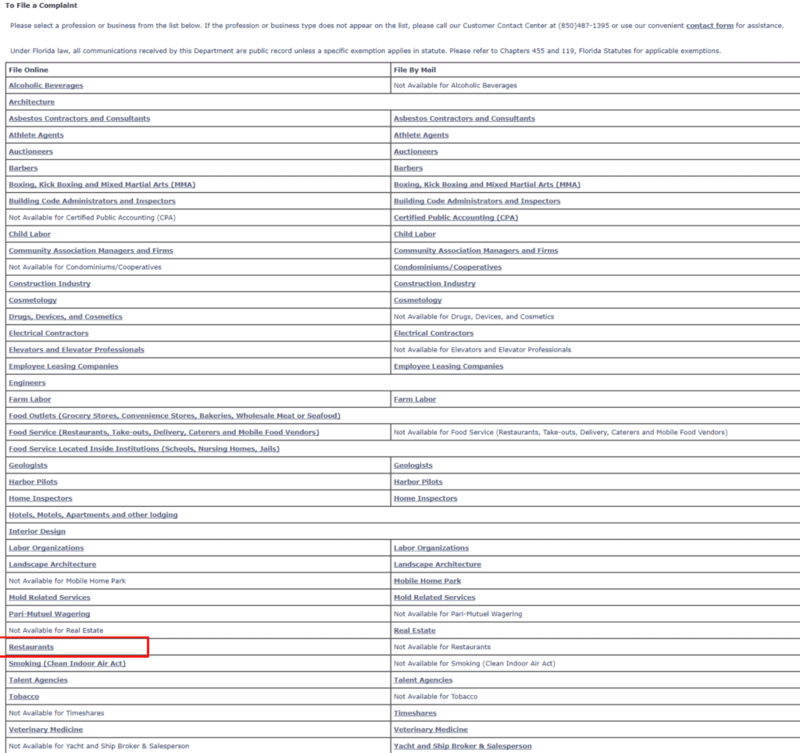 Each particular state organization has its own website and phone number. Let’s imagine we would like to report a restaurant in Florida. After filing your complaint form, wait until someone from this department reaches out to you. Usually such organizations have a customer contact center in case you have any questions or need assistance in completing this form. 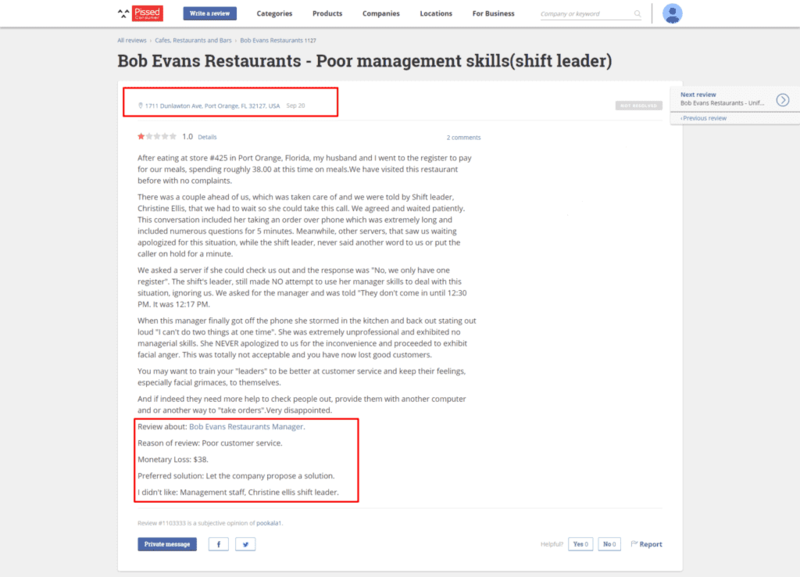 We hope the tips above will not only help you to complain in a restaurant properly, but will teach you how to leave it with free champagne and a dish named after you as an apology.